Headlights come in different sizes, shapes, and colors. They can be an important fashion statement for fans of auto detailing who like to customize their car’s appearance. At the most basic level, though, headlights are about safety. They provide visibility in the rain, snow, fog, and darkness. Just as importantly, they allow drivers to see each other. A car with its headlights off is practically invisible at night, and that creates a dangerous situation. However, headlights don’t always perform as well as they should. An obvious problem is that they can get dirty or covered with mud and other road debris. The plastic lenses can also become scuffed and cloudy, kind of like eyes and cataracts. That happens when the clear coat finish from the factory wears off. Once that happens, the sun’s UV rays can cause tiny cracks and pitting. Those imperfections make a big difference. In fact, according to AAA, dirty or scuffed headlight lenses can block 90% of the light from the bulbs. 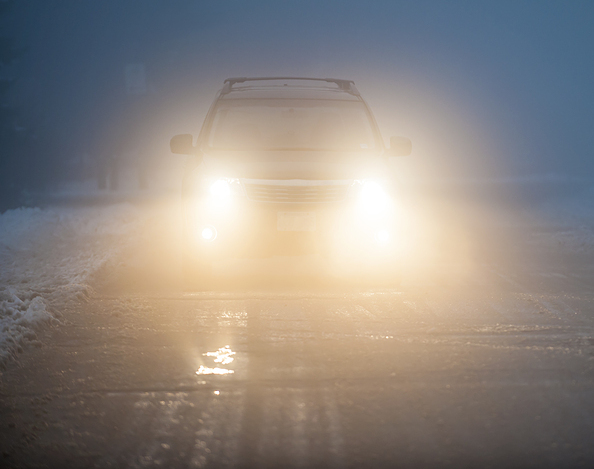 They also diffuse the light, creating glare for other drivers and making the vehicle with scuffed lights harder to see. Fortunately, solving the problem doesn’t require replacing your headlights. That’s because, in most cases, the damage is confined to the lenses. While lenses are expensive to replace (costing hundreds of dollars each for regular cars and even more for luxury vehicles) restoration is relatively easy and inexpensive. In addition to cleaning the headlight lenses, restoration removes the scuffs that cause cloudiness. It’s an easy, inexpensive way to repair your headlights and regain optimal visibility. Headlight restoration is also quick and convenient because Mr. Clean Car Wash offers headlight cleaning and restoration as an auto detailing service. If your headlights are less than pristine, contact the Mr. Clean Carwash location nearest you to learn more about how you can restore visibility and maximize safety.